In the game "Hairstyles for Disney Princess" girls decided to update their hairstyles. To do this, they came to a beauty salon and are ready to try on new hairstyles and hair accessories. You can also join this company of funny and beautiful princesses to help Elsa, Tiana and Merida to find a chic hairstyle. At the beginning of the game you will be able to choose one of the princesses, and then do the selection of the hairstyle that suits her and choose makeup. After that, you can pick up a couple of beautiful outfits. After all, the updated hairstyle will not look so good if the princesses remain in their previous outfits. After all three princesses have updated their wardrobe, you can take a photo with them and save them to your computer or smartphone. Played: 2097. Added: 13-11-2018, 09:41. 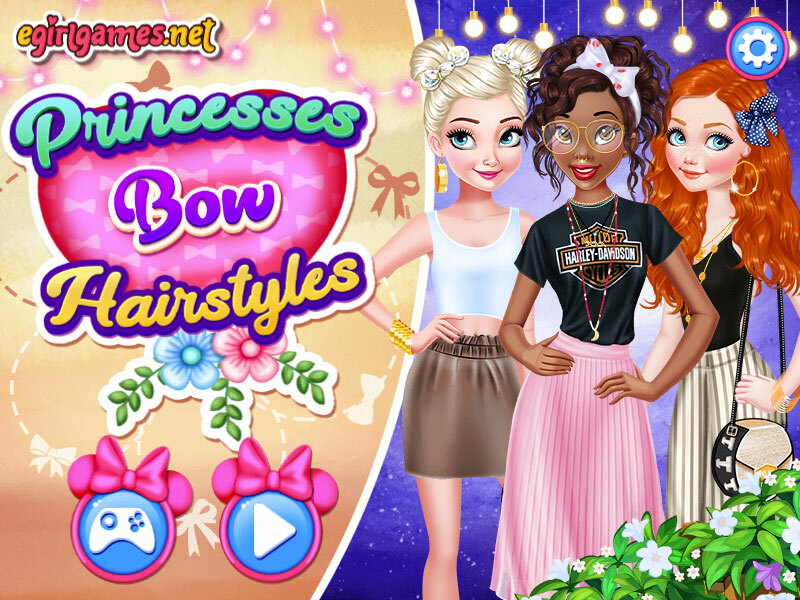 Disney Princess Bow Hairstyles Game.